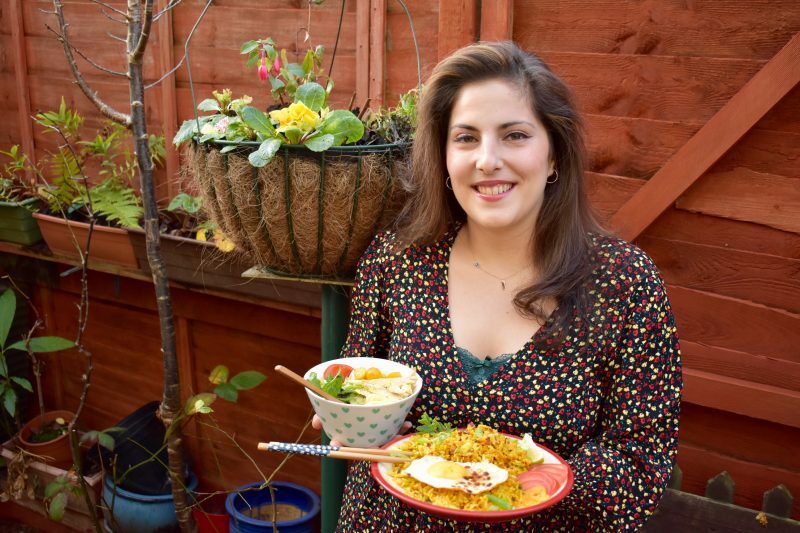 I want to carry on inspiring you with delicious food which is good for you and is easy to prepare. 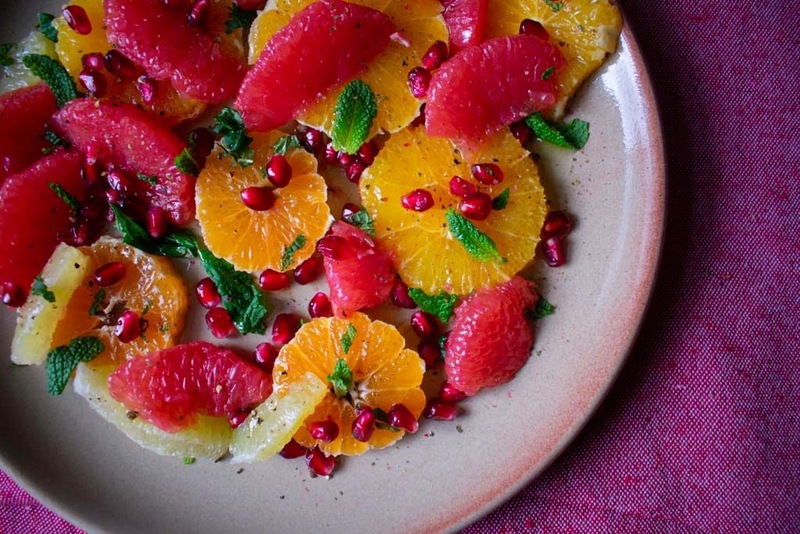 So let’s launch into January with my easy peasy citrus salad which takes minutes to put together! 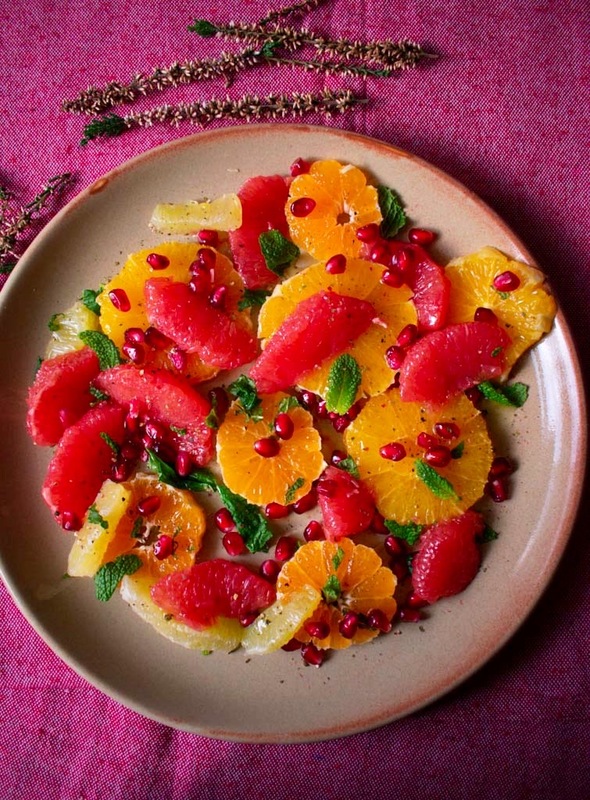 Literally slice up any citrus you have lying around, scatter over some finely chopped fresh mint and some pomegranate seeds, a glug of extra virgin olive oil and a generous pinch of 4 colour peppercorns from @steenbergsltd and you have a mighty and colourful salad! At this time of year I particularly like to add some colour to my dishes, to show that just because it’s winter, doesn’t mean all food has to be beige and boring. You can still have seasonal produce which is colourful, tasty and super good for you…more to follow! Have a great year ahead everyone!